Outdoor activity can not only help provide fun experiences for owners and their feline companions, but enhance their quality of life. Like many other animals, cats thrive on visual, mental, and external stimulation. It helps keep them from getting bored and can help maintain a healthier weight. 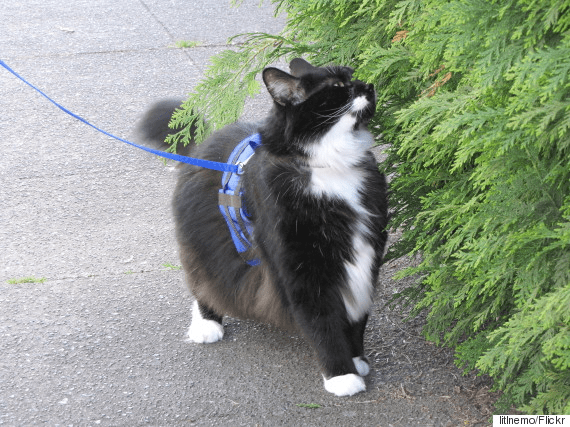 Outdoor walks and exploration can help boost a cats confidence and self esteem, making them less stressed when friends and family come to visit, as well as going to the vet. 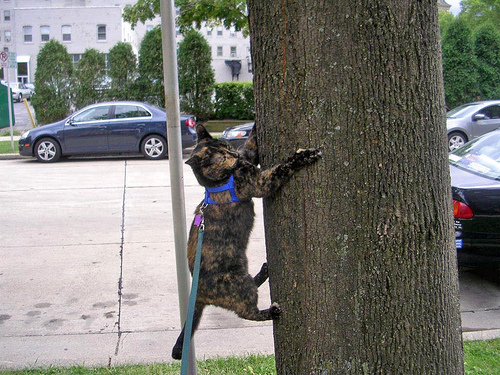 Just remember, cats need to be gently introduced to walking on a leash, and some may never like it at all. After purchasing a harness at a local store, let your cat smell and play with it. Put the harness on and let them get acclimated walking freely around the house. A few treats for positive reinforcement is a good idea. Once they’re comfortable, try walking them with the leash. 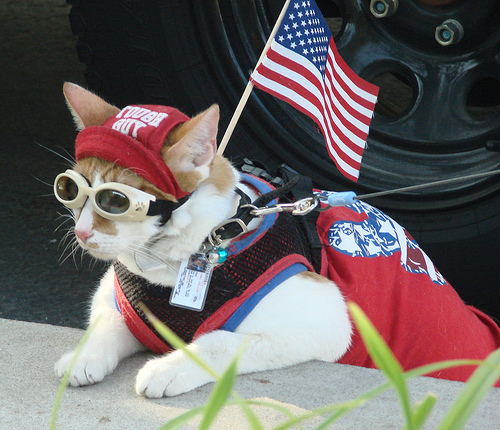 Going immediately outside to a busy street or neighborhood will most certainly overwhelm your cat. Start in a quiet backyard (preferably fenced in case they slip out of their harness) or drive to a less congested park or area where your kitty will not feel threatened by loud noises, dogs, etc. So your kitty isn’t digging the leash? That’s completely OK! 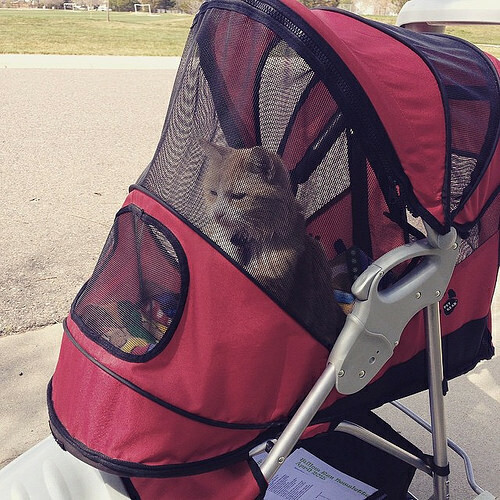 Some owners purchase animal strollers and take their pets for walks in them. Others have built catios (cat patios) in their backyards. It’s an outdoor enclosure with perches where your cat can still go outside and enjoy the fresh air without being a leash.